Meet Chris, Emily, Oliver, and ARCHER! I love being friends with this family and each time I get to take their photos, I find myself with the biggest smile watching them interact together. 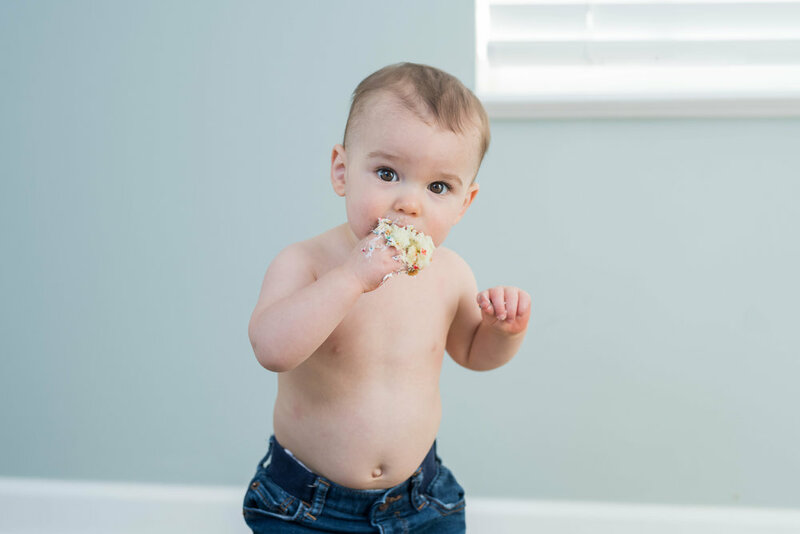 It was awesome to capture some cute shots of Archer turning 1 and eating his tasty cake. He couldn’t believe his luck with this after-nap snack! Archer loves to explore, climb on whatever he can, eat lots of food, play with his big brother, and snuggle with Mom.